If there is any pole building term you still don’t understand, or one not yet listed here, please use the Contact Us page to email us. We will be glad to send drawings or pictures for illustration. Click on the icon to view an image or drawing to show you what the glossary term means. ACZA:Ammoniacal Copper Zinc Arsenate – a preservative treatment normally used on difficult to treat wood specie such as Douglas Fir. Addition:An extension or increase in floor area or height of a building. Agricultural Building:A structure designed and constructed to house farm implements, hay, grain, poultry, livestock or other horticultural products. This structure shall not be a place of human habitation or place of employment where agricultural products are processed, treated or packaged, nor shall it be a place used by the public. Allowable Stress Design:A method of proportioning structural members, such that elastically computed stresses produced in the members by nominal loads do not exceed specified allowable stresses (also called working stress design). Aluminum Coated Steel:Steel coated with aluminum for corrosion resistance. 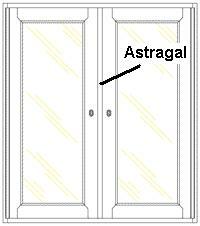 Astragal: A closure between the two leaves of a double swing or split sliding door to close the junction. Attic:The space between the ceiling beams (or joists) of the top story and the roof rafters (or purlins). Awning:An architectural projection providing weather protection, identity or decoration and is wholly supported by the building to which it is attached. An awning is comprised of a lightweight, rigid skeleton structure over which a covering is attached. B Exposure:Urban and suburban areas, wooded areas, or other terrain with numerous closely spaced obstructions having the size of single-family dwellings or larger. Exposure B shall be assumed unless the site meets the definition of another type exposure. Backfill:The material (usually concrete) placed into the pre-bored holes around a structural building column. Its properties affect post foundation strength substantially, because backfill directly supports the post and dissipates pressures to the virgin soil. Because the hole is larger than the post, backfill bears on a much larger area of the surrounding soil than the area of the post bearing on the backfill. Therefore, backfill carries higher pressures than the virgin soil and provides the foundation’s lateral strength and ability to reduce post deflection. Base Shear:The total design lateral force at the bottom of a column. Basic Wind Speed:Is the fastest-mile wind speed associated with an annual probability of 0.02 (once in 50 year occurrence), measured at a point 33 feet above the ground for an area having exposure C.
The distance between adjacent mainframe (post-frames) centerlines or primary supporting members along the length of the building, measured parallel to the ridge. Beam:A structural member, usually horizontal, used for support in a building and subjected to bending loads. Beam and Column:A structural system consisting of a series of rafter beams supported by columns. Often used in animal “stall” or “grid” barns. 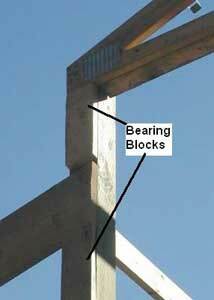 Bearing Block: A dimensional lumber block placed beneath roof trusses, rafters or beams and nailed and/or bolted to a support column to provide extra support for vertical loads. Bearing Height:Vertical distance between a pre-defined baseline (generally the grade line) and the bearing point of a component. Bearing Pads (or Footing):Concrete placed under a structural column, wall or other structural member to transfer loads from main framing members to the soil by distributing loads over a greater soil area. Normally not required when column holes are backfilled with concrete. Bent:The main member of a structural system. Board-Foot (BF):A measure of lumber volume based on nominal dimensions. To calculate the number of board-feet in a piece of lumber, multiply nominal width by nominal thickness in inches and divide by 12. 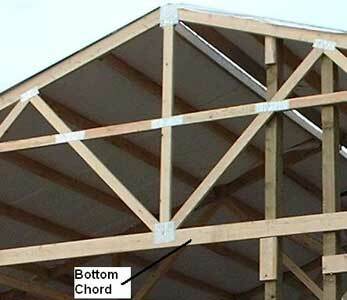 Bottom Chord: An inclined or horizontal member establishing the bottom of a roof truss. Bottom Girt (or Splash Boards): Pressure treated lumber installed at grade line to which the bottom of the building siding is normally installed. Bow: Deviation, in a direction perpendicular to the wide face, from a straight line drawn between the ends of a piece of lumber. Brace:>A piece of structural material, either temporary or permanent, serving to strengthen another member, or to hold the member in place. Branding:Marking on pressure treated lumber or timber to indicate the intended use and the type of retention of preservative. Can either be a stamped-on ink mark or an end tag. Bridging: Structural blocking used to give weak axis stability to floor joists or roof purlins. Building Code:Regulations established by a recognized agency describing design loads, procedures and construction details for structures. Usually applying to designated political jurisdictions (city, county, state, etc.). Building Level (or Transit):A surveyor’s instrument in which a telescope is mounted horizontally. Parallel to the ground, it can be used to determine a level point or points. C Exposure:Open terrain with scattered obstructions, including surface undulations or other irregularities, having heights generally less than 30 feet extending more than 1,500 feet from the building in any quadrant. This exposure shall also apply to any building located within Exposure B type terrain in any quadrant for a distance of more than 600 feet. This category includes flat open country, grasslands and shorelines in hurricane-prone regions. Camber:A predetermined curvature designed into a structural member to offset the anticipated deflection when loads are applied. Canopy:An architectural projection providing weather protection, identity or decoration and is supported by the building to which it is attached and at the other end by not less than one stanchion (or pole). A canopy is composed of a rigid structure over which a ceiling is attached. Cantilever:A beam or column supported only at one end. A sidewall column of a roof only structure is a cantilevered pole. The portion of a roof purlin extending beyond the gable endwall of a building to support an endwall overhang is cantilevered. Cantilevered Column System:A structural system relying upon column elements that cantilever from a fixed base and have minimal rotational resistance capacity at the top with lateral forces applied essentially at the top and are used for lateral resistance. 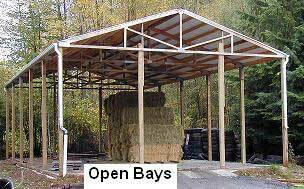 A roof only “hay shed” would be an example. Capillary Action:The action which causes movement of liquids when in contact with two adjacent surfaces such as panel side laps. CCA:Chromated Copper Arsenate – a preservative treatment normally used on easily treated wood specie such as Hem-Fir or Ponderosa Pine. Ceiling Joists:A secondary horizontal framing member attached between the bottom chords of trusses. Serves as a structural member to which gypsum wallboard or other ceiling finishing materials may be attached. Check:Separation of the wood usually extending across the annual growth rings (I.E., a split perpendicular-to-growth rings). Commonly results from stresses built up in wood during seasoning. Chords (or Bottom Chord or Top Chord):An inclined or horizontal member establishing the top or bottom of a roof truss. 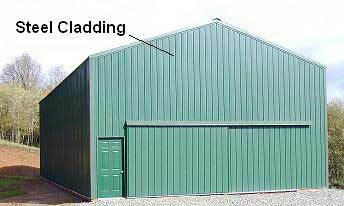 Cladding or “building skin”:Refers to the exterior building covering. Clear Height: Vertical distance between the finished floor and the lowest part of a truss, rafter, girder. NOT the same as eave height. Clear Span: Clear distance between adjacent supports of a horizontal or inclined member. Horizontal distance between the facing surfaces of adjacent supports. Closure Strip:A resilient strip; formed to the contour of ribbed panels and used to close openings created by metal panels joining other components. Typically used underneath ridge caps. Cold Forming:The process of using press brakes or rolling mills to shape steel into desired cross sections at room temperature. Collateral Load:All additional dead loads other than the weight of the building system, such as sprinklers, mechanical and electrical systems, and ceilings. Column:A rectangular primary structural member, sawn on four sides before treatment, is generally uniform in cross section along its length. May be either sawn or laminated dimensional lumber. It is the primary structural element of the building side and end walls. They are a vertical structural member used in a building to transfer loads from main roof beams, rafters and/or trusses to the foundation. Usually also supports a horizontal wind load. Generally partly embedded in the soil to provide lateral and vertical support for the structure. 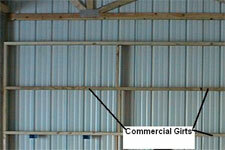 Commercial Girts: Horizontal wall framing placed narrow face to wind between wall columns and blocked at each end. Allows for increased resistance against wind loads. Provides an insulation cavity and, when properly sized, allows for interior finishes (such as gypsum wallboard) to be installed without columns protruding into building. Commercial girts are laid flat, like shelves. Components and Cladding:Elements of the building envelope not qualifying as part of the main-force resisting system. In post-frame buildings, this generally includes individual purlins and girts, and cladding. Concentrated Truss Loads:A point load, in excess of normal roof loading, supported by one or more roof trusses. Examples would include hanging game (e.g. deer, elk), pulling a vehicle engine or supporting a hoist or crane. Concrete Collar: Concrete placed into the pre-bored hole around a structural building column. The concrete may only fill a portion of the bottom of the hole, as individually determined for each engineered building. Compacted soil is then placed on top of the concrete to fill up the rest of the hole. The engineer of record specifies the depth of the concrete collar. In some localities, or due to high wind and/or snow loads, the concrete may entirely fill the hole. The collar provides superior resistance to wind uplift forces. Condensation Control Blanket:A thin layer of insulation glued to a vinyl facing. When installed between framing and steel roofing or siding, it helps to prevent condensation from forming inside the building. Generally has a fairly low “R” value. Conditioning:Steaming, air or kiln drying or lumber or timber, normally prior to pressure treatment. Constrained:The use of a rigid floor or concrete slab on grade. When a post frame building is properly tied in to either of these, it can help to reduce column embedment depth and/or column hole diameters. Continuity:The terminology given to a structural system denoting the transfer of loads and stresses from member to member as if there were no connections. Contractor [from RCW 18.27.010(1)]:Any person, firm, or corporation, who or which, in the pursuit of an independent business undertakes to, or offers to undertake, or submits a bid to, construct, alter, repair, add to, subtract from, improve, move, wreck or demolish, for another, any building, highway, road, railroad, excavation or other structure, project, development, or improvement attached to real estate or to do any part thereof including the installation of carpeting or other floor covering, the erection of scaffolding or other structures or works in connection therewith or who installs or repairs roofing or siding; or, who, to do similar work upon his or her own property, employs members of more than one trade upon a single job or project or under a single building permit except as otherwise provided by RCW. “Contractor” includes any person, firm, or corporation covered by this subsection, whether or not registered as required under RCW Chapter 18. Corbel (or Bearing Block):A dimensional lumber block placed beneath roof trusses, rafters or beams and nailed and/or bolted to a support column to provide extra support for vertical loads. Corner Post:An end wall column located at the corner of the building. 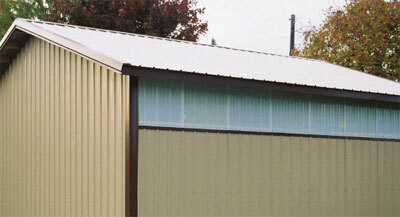 Covering:The exterior metal roof and wall panel of a post frame building. Crook: The greatest point of bow or crook on a piece of lumber. The opposite of cupping. Crown:The greatest point of bow or crook on a piece of lumber. The opposite of cupping. 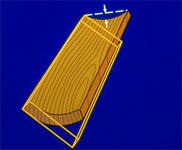 Cup: Deviation, in the wide face of a piece of lumber, from a straight line drawn from edge to edge of the piece. D Exposure:Flat, unobstructed areas exposed to wind flowing over open water (excluding shorelines in hurricane-prone regions) for a distance of at least one mile. Shorelines in Exposure D include inland waterways, the Great Lakes and coastal areas of California, Oregon, Washington and Alaska. This exposure shall apply only to those buildings exposed to the wind coming from over the water. Exposure D extends inland from the shoreline a distance of 1,500 feet. Dead Load:The vertical, gravity load due to the combined weights of all permanent structural and nonstructural components of the building, including but not limited to walls, floors, roofs, ceilings, stairways, built-in partitions, finished, cladding, and other similarly incorporated architectural and structural items, and fixed service equipment, including the weight of cranes. These loads are constant in magnitude and location throughout the life of the building. Deck:An exterior floor supported on at least two opposing sides by an adjacent structure, and/or posts, piers or other independent supports. Deflection:The displacement of a structural member under load. Deflection limits are not normally required for unfinished post frame buildings; however need to be considered for finished buildings incorporating gypsum wallboard, etc. Design Loads:Those specified by the building codes to be used in building design. They include snow, wind, seismic and dead. Design Strength:The product of the nominal strength and a resistance factor (or strength reduction factor). Diaphragm:A structural assembly – including the timber framing (truss chords and purlins), structural sheathing (e.g. plywood, metal cladding), fasteners and fastening patterns – capable of transferring in-plane shear forces through the cladding and framing members. 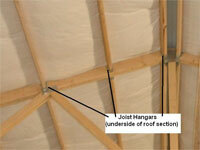 Diaphragm Action:The lateral resistance to racking of the building provided by the roof and wall coverings. The design relies upon the roof to act as a deep beam supported by the endwalls. This deep beam supports the tops of the sidewall columns when they are laterally loaded by wind pressure. Diaphragm Design:The design of a post frame, including the roof truss, sidewall posts, endwalls, shear connectors, chord splices and ground anchorages, in which the diaphragm strength and stiffness are utilized to transfer applied horizontal loads to the ground. Dimensional Lumber:Wood members from two nominal inches to, but not including, five nominal inches in thickness, and two or more nominal inches in width. 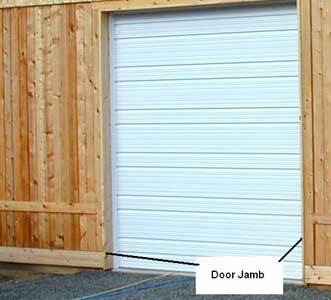 Door Guide:An angle or channel guide used to stabilize or keep plumb a sliding or rolling door during its operation. Dual Pitch Roof: A gabled roof system where the slope on one side is steeper than the other. Duration of Load:The period of continuous application of a given load, or the aggregate of periods of intermittent applications of the same load. Dynamic Loads:Result from the dynamic effect of cranes, hoists and materials handling equipment. Earthquake Loads:Produce lateral forces on structures caused by the sudden movement of the foundation of the structure. If these forces exceed those caused by wind loads, they may govern the design. Post frame structures are generally so light that earthquake forces do not usually control their design unless additional dead loads are applied to the structure. 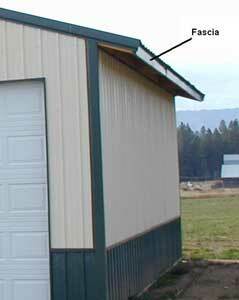 Eave:The edge of the building where the sidewall and the roof meet. The line along the sidewall formed by the intersection of the wall and roof planes. Eave Girts or Eave Purlins: Horizontal, secondary framing members attached (generally at a right angle) at sidewall columns at the eave to support wall coverings and/or the lower edge of the roof cladding. They collect the wind-induced wall loads and distribute them to the post frame. 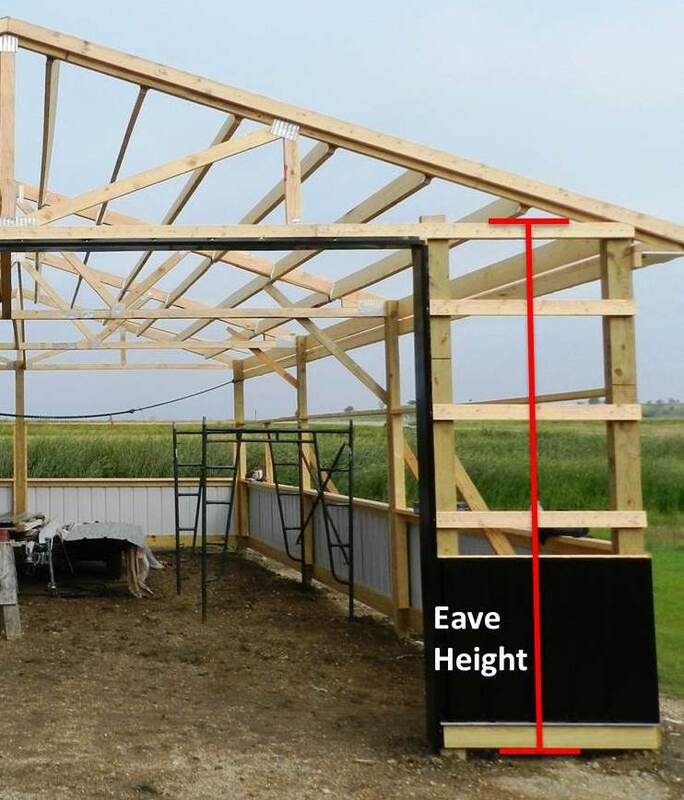 Eave Height: The vertical distance from the bottom of the skirt board to the eave. (NOT the same as eave clearance). Eave Lights: Fiberglass reinforced panels (FRP), typically of the same rib configuration as the sidewall steel. Normally placed in the top two to three feet of the sidewalls, directly below the eave. Generally made from opaque material, allows for some natural lighting into the building. Eave Vents:Level return enclosed soffits, pre-perforated to allow for airflow into the building. In combination with a vented ridge, allows warm, moist air to escape through the ridge of the building. Elevated Floor (or Loft):A second story wood floor (normally plywood) supported by beams and joists. End Bay:The bays adjacent to the end walls of a building. Usually the distance from the end wall to the first interior primary frame measured parallel to the ridge. End Rafter:Dimensional lumber used to support the vertical roof load between endwall wind columns. 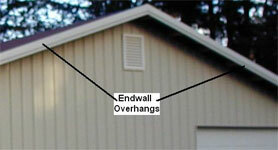 Endwall: When looking at this wall of a peaked or gabled roof, it has a “point”. An exterior wall which is perpendicular to the ridge of the building. Endwall Diaphragm:The endwall of the building where the endwall cladding and framing are constructed so as to transfer in-plane shear forces from the roof and/or ceiling to the ground. Endwall Overhang: The projection of the roof past the endwall. Endwall Wind Columns:A rectangular primary structural member, sawn on four sides before treatment, is generally uniform in cross section along its length. May be either sawn or laminated dimensional lumber. It is the primary structural element of the building endwalls. They are a vertical structural member used in a building to transfer loads from endwall roof beams, rafters and/or trusses to the foundation. Also supports a horizontal wind load. Generally partly embedded in the soil to provide lateral and vertical support for the structure. Entry Door (or Man Door or Walk Door): A pre-hung, hinged door allowing for access into the building by turning a lockset. Most popular size is 36 inches in width by 6’8″ in height. Erection:The on-site assembling of fabricated components to form a complete structure. Essential Facilities:Buildings and other structures intended to remain operational in the event of extreme environmental loading from flood, wind, snow or earthquakes. Exiting Structure:A structure erected prior to the date of adoption of the appropriate building code, or one which a legal building permit has been issued. Exposure B:Has terrain with buildings, forest or surface irregularities, covering at least 20 percent of the ground level area extending 1 mile or more from the building site. Exposure C:Has terrain that is flat and generally open, extending ½ mile or more from the building site in any full quadrant. Exposure D:Represents the most severe exposure in areas with basic wind speeds of 80 miles per hour or greater and has terrain that is flat and unobstructed facing large bodies of water over 1 mile or more in width relative to any quadrant of the building site. Exposure D extends inland from the shoreline ¼ mile. 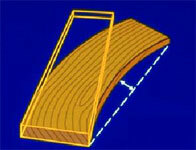 Flat surface (or covering) located at the outer end of a sidewall roof overhang or cantilevered end. Fastest-mile Wind Speed:The wind speed obtained from wind velocity maps prepared by the National Oceanographic and Atmospheric Administration and is the highest sustained average wind speed based on the time required for a mile-long sample of air to pass a fixed point. Fill:Material used to raise the level of a grade. Fire Wall:A fire-resistance-rated wall having protected openings, which restricts the spread of fire and extends continuously from the foundation to or through the roof, with sufficient structural stability under fire conditions to allow collapse of construction on either side without collapse of the wall. Flashing: Sheet metal or plastic components used at major breaks and/or openings in walls and roofs to insure weather-tightness in a structure and secondarily to enhance appearance. Footing:Concrete placed under a structural column, wall or other structural member to transfer loads from main framing members to the soil by distributing loads over a greater soil area. Normally not required when column holes are backfilled with concrete. Foundation:The substructure which supports a building or other structure. Frame:Primary structural member (columns and rafters) which support the secondary framing. Frame Spacing:Horizontal distance between post-frames. 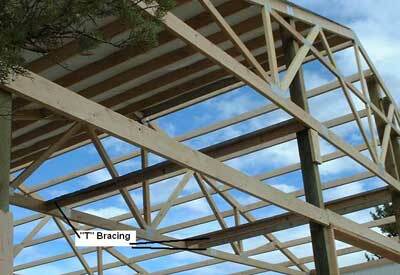 In the absence of posts, the frame spacing is generally equated to the distance between adjacent trusses (or rafters). May vary within a building. Framed Openings:Jambs, headers and flashing which surrounds an opening in the wall of a building. Full Hip Roof: One which rises by inclined planes from all four sides of a building. A roof system without gables, where the roof slopes towards every wall. The line where two adjacent sloping sides of a roof meet is called the “hip”. 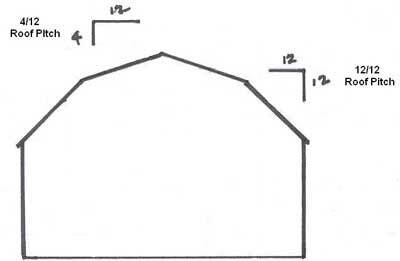 Gable: On a roof system with a peaked end (or ends), the triangular portion of the endwall above the eaveline. Not structurally a good location for placement of fiberglass wall lights, as it breaks the endwall diaphragm. 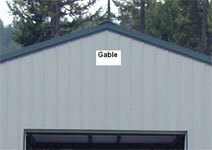 Gable Roof:A ridged roof terminating in gables. A roof with one slope on each side. Each slope is of equal pitch. Galvanized:Steel coated with zinc for corrosion resistance. Gambrel Roof: This is the “traditional barn” style roof. Similar to a gable roof, only has a pitch change from steep at the eaves to a lesser slope approximately mid-point between the eave and ridge. May have useable attic space. General Contractor [from RCW 18.27.010(2)]:A contractor whose business operations required the use of more than two unrelated building trades or crafts whose work the contractor shall superintend or do in part. “General contractor” shall not include an individual who does all work personally without employees or other “specialty contractors” as defined in RCW Chapter 18. 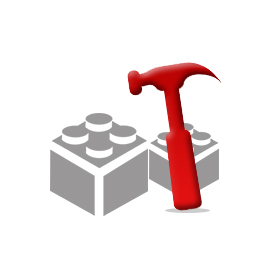 The terms “general contractor” and “builder” are synonymous. 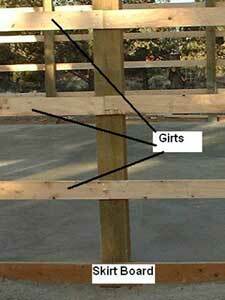 Girder:A large, generally horizontal, beam. 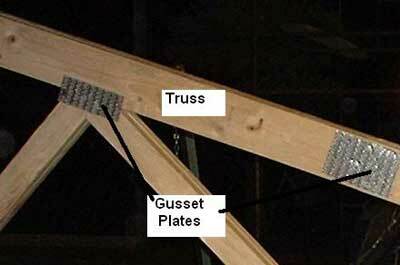 Commonly used in post-frame buildings to support trusses whose bearing points do not coincide with a post. Girts: Horizontal, secondary framing members attached (generally at a right angle) to endwall or sidewall columns to support wall coverings. They collect the wind-induced wall loads and distribute them to the post frame. 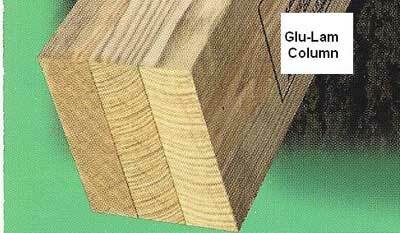 Glued-laminated (glu-lam) Timber: A structural timber manufactured in a plant, consisting of assemblies of suitable selected and prepared wood laminations in which the grain of all lumber laminations is approximately parallel longitudinally, bonded together with adhesives. Grade:The term used when referring to the ground elevation around a building. 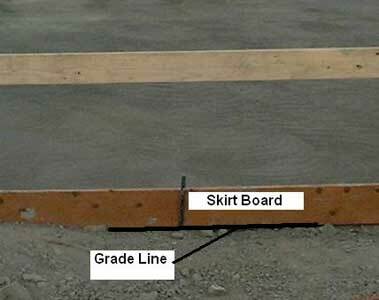 Grade Girt (or Skirt Boards):Pressure treated lumber installed at grade line to which the bottom of the building siding is normally installed. Grade Line (grade level): The line of intersection between the building exterior and the top of the soil, gravel, and/or pavement in contact with the building exterior. For post-frame building, generally assumed to be no lower than the lower edge of the skirt board. Ground Snow Load:The load from snow accumulated on the ground. The actual load applied to the roof design is generally reduced to 70% of the Ground Snow Load, due to the effect of some snow blowing off the roof instead of accumulating. Gruenwald Classic Columns:Trade name for glu-laminated timbers manufactured by Gruenwald Engineered Laminates. Gusset Plate: A steel plate used to reinforce or connect structural elements (typically members of pre-fabricated roof trusses). Hairpins:Reinforced steel bars (re-bar) used to tie an embedded post into a concrete slab. 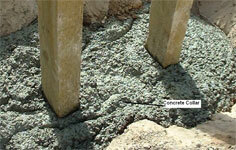 Can be attached through or around the column, or poured into the concrete column encasement. 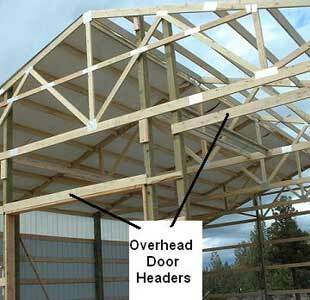 Headers: A structural framing member supporting the ends of structural framing members cut short by a floor, wall, ceiling, or roof opening. Normally used to support roof trusses over wide sidewall door openings. They are primary structural elements of a post frame building. Commonly used members are dimensional lumber, vertically nail-laminated lumber, laminated veneer lumber, glued-laminated beams and pre-fabricated parallel chord trusses. IBC:International Building Code. A unified national building code based upon years of experience and technical expertise from the organizations which created the BOCA National Building Code, ICBO’s Uniform Building Code and SBCCI’s Standard Building Code. First published in 2000. Ice Dam:A buildup of ice which forms a dam on the roof covering along the eave of the building. Incising:Mechanical procedure where the surface of the wood is uniformly punctured to achieve uniform penetration and retention of preservative treatment. Inspections:In construction where a building permit is required, it is the review of work performed by a building official. 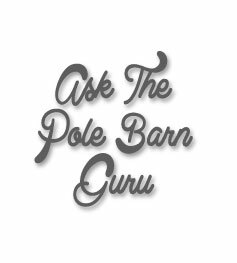 Typical inspections for pole buildings include (but are not limited to) the holes, framing and final inspections. Insulation:Any material used in building construction to reduce heat transfer. 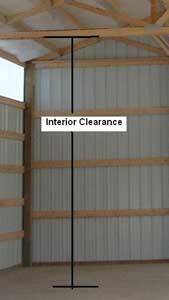 Interior Clearance: The vertical distance measured from the top of a finished floor to the bottom of the roof trusses. Intermediate Bay:The distance between two primary frames within a building, other than the end frames. Internal Pressure:Pressure inside a building which is a function of wind velocity and number and location of openings. Joist:Any of the pieces of lumber arranged parallel from wall to wall (or truss to truss) in a structure to support a floor or ceiling. Joist Hanger: An engineered metal bracket allowing a member, such as a purlin, to be supported from the side of a second member, such as a roof truss or rafter. Knee Braces:Inclined diagonal lumber braces connecting to and extending from the sidewall columns, usually several feet below the truss to column connection, across and attached to the face of the roof trusses. They are intended to supplement the lateral resistance of post frames when loaded by lateral wind forces. Studies have revealed their ineffectiveness when including diaphragm action. They also may induce overstressing of the roof trusses. Laminated Assembly:A structural member comprised of dimensional lumber fastened together with mechanical fasteners and/or adhesive. Horizontally and vertically laminated assemblies are primarily designed to resist bending loads applied perpendicular and parallel to the wide face of the lumber, respectively. Laminated Veneer Lumber (LVL): A structural composite lumber assembly manufactured by gluing together wood veneer sheets. Each veneer is oriented with its wood fibers parallel to the length of the member. Individual veneer thickness does not exceed 0.25 inches. Lean-To:A structure, such as a shed, having only one slope and depending upon another structure for partial support. Length: The distance measured from outside of corner column to outside of corner column along the building sidewall. Light:Frame Construction – A type of construction whose vertical and horizontal structural elements are primarily formed by a system of repetitive wood or light gauge steel framing members. Frequently referred to as “stick framed”. Live Loads:Both static and dynamic loads resulting from the use and occupancy of the building and do not include construction load, or environmental loads such as wind, snow, rain, earthquake or flood. Loads:Forces or other actions arising on structural systems from the weight of all permanent construction, occupants and their possessions, environmental effects, differential settlement, and restrained dimensional changes. Loft:A second story wood floor (normally plywood) supported by beams and joists. Longitudinal:The direction parallel to the ridge. Lumber Grade:The classification of lumber in regard to strength and utility in accordance with the grading rules of an approved lumber grading agency. Machine Graded Lumber:Lumber evaluated by a machine using a nondestructive test followed by visual grading to evaluate certain characteristics the machine cannot or may not properly evaluate. Machine-stress-rated (MSR), machine-evaluated-lumber (MEL), and E-rated lumber are three types. The MSR and MEL systems differ in grade names, quality control, and coefficient of variation (COV) for E values. Main Frame:A frame located between end walls of a building which supports the loads from a portion of each adjacent bay. Main Wind:Force Resisting System – An assemblage of structural elements assigned to provide support and stability for the overall structure. In post frame buildings this includes the individual post frames, diaphragms and shearwalls. 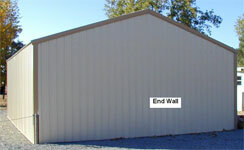 Mainwall:Typically the wall of a “main” building at the point where a shed roof attaches. Man Door (or Entry Door or Walk Door):A pre-hung, hinged door allowing for access into the building by turning a lockset. Most popular size is 36 inches in width by 6’8″ in height. Mansard:A tilted fascia system mounted to the wall outside the wall columns. This extends above the roof line to form a decorative fascia appearance and hide the roof line. Manufactured Component:One assembled in a manufacturing facility. 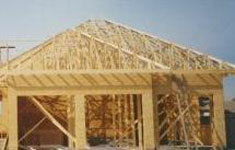 Generally the pre-fabricated wood trusses and laminated columns used in post frame buildings. Masonry:Anything constructed of materials such as bricks, concrete blocks, ceramic blocks or concrete. Maximum Load Duration:The cumulative duration of maximum load over the life of a structure. For snow, the maximum is generally assumed to be two months. This does not mean the snow load from any event would last for two months. Rather, it means the total time the roof supports the design snow load over the life of the structure is two months. For wind and earthquake loads, the cumulative duration over the life of the structure is generally assumed to be 10 minutes. Mechanically Laminated Post:A structural timber manufactured either partly or wholly in a plant or on the construction site, consisting of suitably selected wood laminations in which the individual layers are mechanically fastened together, typically with nails, screws, bolts and/or shear transfer plates. MEL (or Machine Graded Lumber):Lumber evaluated by a machine using a nondestructive test followed by visual grading to evaluate certain characteristics the machine cannot or may not properly evaluate. 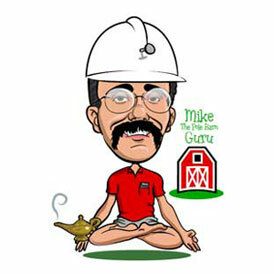 MEL is just one type of machine graded lumber. Metal Building Insulation or Condensation Control: A thin layer of insulation glued to a vinyl facing. When installed between framing and steel roofing or siding, it helps to prevent condensation from forming inside the building. Generally has a fairly low “R” value. 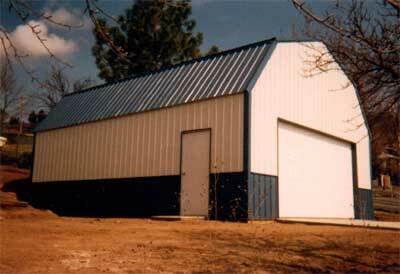 Metal Cladding: Metal exterior and interior coverings, usually cold-formed steel sheeting, fastened to the structural framing. Mezzanine:An intermediate floor placed in any story or room. When the total area of any mezzanine floor exceeds 33-1/3 percent of the total floor area in the room, it will be considered an additional story. Moment:The tendency of a force to cause rotation about a point or axis. Moment of Inertia:A physical property of a member, which helps define strength and deflection characteristics. Monolithic Construction:A method of pouring concrete grade beam and floor slabs together to form the building foundation without forming and pouring each separately. MSR:Machine Stress Rated – Lumber where each piece is non-destructively tested for strength mechanically. Provides for more consistent strength qualities than visually graded lumber. Nominal Size:The named size of a member, usually different than the actual size (as with lumber). Non-Constrained:Condition where a concrete floor is not used. Any column in this use should be back filled with concrete. O.C. : Spacing “on center”. The distance between the centers of two members. Open Bays: Portions of walls without cladding, doors or other permanent coverings. Oriented Strand Boards (OSB):Structural wood panels manufactured from reconstituted, mechanically oriented wood strands bonded with resins under heat and pressure. 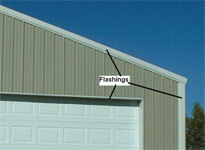 Overhead Door: Installs on vertical tracks to the inside face of two building columns. Opens upwards, typically by going around a bend in each of the vertical tracks allowing the opened door to be parallel with the floor and above the top of the door opening. Panels:Sheet metal, usually with a ribbed configuration, used for roof and wall skin. Panic Hardware:A door-latching assembly incorporating a device which releases the latch upon the application of a force in the direction of egress travel. Parapet:The portion of a vertical wall of a building which extends above the roof line at the intersection of the wall and roof. Typically required for fire separation and is usually the vertical extension of a fire wall. 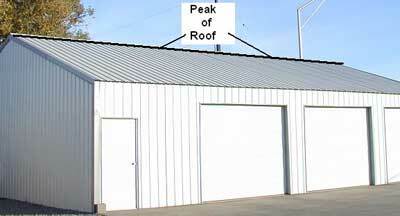 Peak: The highest point of the roof, which describes a horizontal line running the length of the building. Penetration:Measures the depth to which preservative chemicals are injected into wood. It is expressed as inches of penetration into the wood or percent of sapwood penetrated. Pennyweight:A measure of nail length, abbreviated by the letter d.
Personnel Door (or Entry Door or Man Door):A pre-hung, hinged door allowing for access into the building by turning a lockset. Most popular size is 36 inches in width by 6’8″ in height. Pin:Short, straight, stiff piece of wire with a blunt head and a sharp point, used especially for fastening. Pitch: The rise or angle of the roof stated in inches of rise per twelve inches of horizontal run. Plumb:Straight up and down, vertical. Plywood:A built-up panel of laminated wood veneers. The grain orientations of adjacent veneers are typically 90 degrees to each other. Pole:A round, unsawn, naturally tapered post. Pole and Rafter (or Beam and Column):A structural system consisting of a series of rafter beams supported by columns. Often used in animal “stall” or “grid” barns. 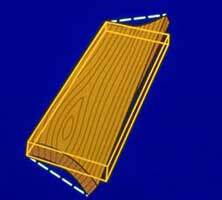 Post (or Column): A rectangular primary structural member, sawn on four sides before treatment, is generally uniform in cross section along its length. May be either sawn or laminated dimensional lumber. It is the primary structural element of the building side and end walls. They are a vertical structural member used in a building to transfer loads from main roof beams, rafters and/or trusses to the foundation. Usually also supports a horizontal wind load. Generally partly embedded in the soil to provide lateral and vertical support for the structure. Post Embedment Depth:Vertical distance between the bottom of a post and the lower edge of the skirt board. Post Foundation:The embedded portion of a structural post and any footing and/or attached collar. 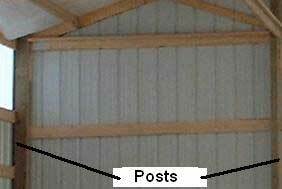 Post Frame:A structural building frame consisting of a wood roof truss or rafters connected to vertical timber columns or sidewall posts. Post Frame Building:A building system whose primary framing system is principally comprised of post frames. Pre-Painted Brake:A machine used in cold forming metal sheets or strips into desired cross sections (frequently used for trims). Pressure Preservative Treated Wood:Wood pressure impregnated with an approved preservative chemical under approved treatment and quality control procedures. Primary:The main structural load carrying members of a system. 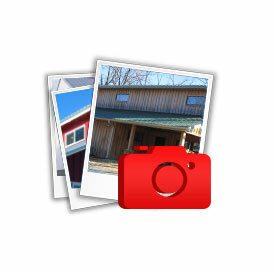 Generally comprised of the columns, trusses, rafters and other main support members. 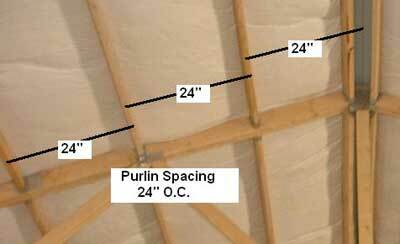 Purlin: A secondary horizontal framing member attached (generally at a right angle) to roof rafters or trusses. Laterally supports rafters and transfers load between exterior cladding and rafters/trusses. Serves as a structural member to which roof sheathing or roofing is attached. They resist gravity loads and uplift loads under wind loading conditions. As such they are a key structural element of the roof diaphragm assembly. Rafter:A sloping roof framing member. Rake:The part of a roof projecting over the endwalls. In the absence of an endwall overhang, the rake is the line along the endwall formed by the intersection of the wall and roof planes. 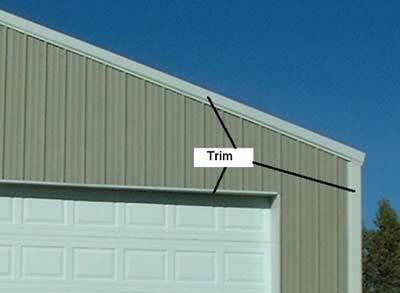 Rake Trim:A flashing designed to close the opening between the roof and endwall panels. Reactions:The resisting forces at the column bases of a frame, holding the frame in equilibrium under a given loading condition. Registered Design Professional:An individual who is registered or licensed to practice their respective design profession as defined by the statutory requirements of the professional registration laws of the state or jurisdiction in which the project is to be constructed. Typically an architect or engineer. Residential Overhead Door (or Overhead Door):Consists normally of a combination 21″ or 24″ height raised steel panels, the width of the door opening. Retention:The amount of chemical preservative added to wood to prevent decay, expressed in weight of preservative per cubic foot of material. A minimum .60 pcf retention with CCA or ACZA is required for structural in-ground use. Ridge (or Peak):The highest point of the roof, which describes a horizontal line running the length of the building. Ridge Cap: A transition of the roofing materials along the ridge of a roof. Ring Shank Nail (or Threaded Nail):A type of nail with either annual or helical threads in the shank. Generally made from hardened steel and have smaller diameters than common nails of similar length. Roof Live Load:Those loads induced by the use and occupancy of the building, not including wind, snow, seismic or dead loads. 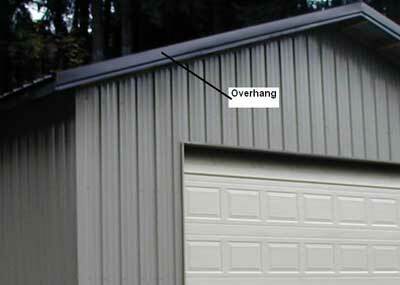 Roof Overhang: The portion of the roof extending beyond the sidewalls and/or endwalls of a building. Roof Snow Load:Vertical load from weight of snow applied to the horizontal projection of the building roof. Influenced by a number of factors besides ground snow load, including roof slope, temperature and coefficient of friction and wind exposure. 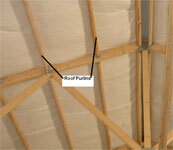 Roof Truss: An engineered building component functioning as a structural roof support member. Made up of three or more members, with each member designed to carry a tension or compression force. Assembled from wood members, metal connector plates and/or other mechanical fasteners, designed to carry the roof truss weight as well as superimposed loads. The truss members form a semi-rigid structural framework and are assembled so the members form triangles. Attached to the wall columns, they compose the post frames of a post frame building, are the primary structural elements and part of the windforce-resisting system. Scissor Truss: Roof truss designed with a bottom chord sloping upwards to an interior peak at the center of the building. Allows for increased interior clearance as the center of the building is approached. May require a steeper than standard exterior roof slope. Screeding:The process of striking off the excess concrete to bring the top surface of the concrete to proper finish and elevation. 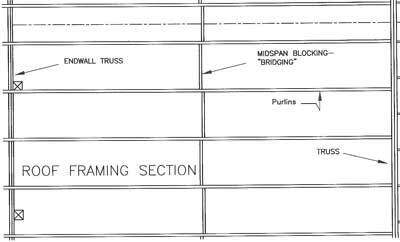 Secondary Framing:Structural framing members used to transfer load between exterior cladding and primary framing members, and/or laterally brace primary framing members. In a post frame building this includes the girts, purlins and any structural wood bracing. Section Modulus:A physical property of a structural member. It is used to design and basically defines the bending strength of a member. Section Overhead Doors:Doors constructed in horizontally hinged sections. They are equipped with springs, tracks, counter balances and other hardware which roll the section into an overhead position, clear of the opening. Seismic Loads (or Earthquake Loads):Produce lateral forces on structures caused by the sudden movement of the foundation of the structure. If these forces exceed those caused by wind loads, they may govern the design. Post frame structures are generally so light that earthquake forces do not usually control their design unless additional dead loads are applied to the structure. Self-Service Storage Facility:Real property designed and used for the purpose of renting or leasing individual storage spaces to customers for the purpose of storing and removing personal property on a self-service basis. Shake:Separation of annual growth rings in wood (splitting parallel-to-growth rings). Usually considered to have occurred in the standing tree or during felling. Shear:The force tending to make two contacting parts slide upon each other in opposite directions parallel to their plane of contact. Shearwall:A vertical diaphragm in a structural framing system. 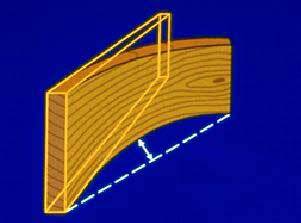 The wall may be an endwall, sidewall or an intermediate wall capable of transferring in-plane shear forces. In either case, the wall transfers shear forces from the roof or ceiling diaphragm to the groundline. 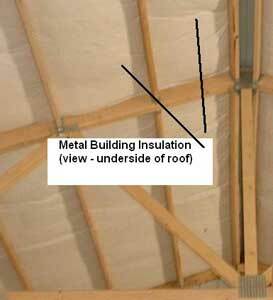 Sheathing:OSB, plywood or steel roof covering which transfers roof load to purlins, rafters and/or trusses. Shed Roof:Slopes in a single direction. May be attached to a main building or free standing. Side Lap Fastener (or Stitch Screw):Fasteners used to connect two adjacent pieces of metal cladding, and thereby adding shear continuity between the sheets. Sidewall Truss Bearing Columns:A rectangular primary structural member, sawn on four sides before treatment, is generally uniform in cross section along its length. May be either sawn or laminated dimensional lumber. It is the primary structural element of the building side walls. They are a vertical structural member used in a building to transfer loads from main roof beams, rafters and/or trusses to the foundation. Supports a horizontal wind load. Generally partly embedded in the soil to provide lateral and vertical support for the structure. Single Slope:A sloping roof in one plane. The slope is from one wall to the opposite wall. Siphon Break:A small groove to arrest the capillary action of two adjacent surfaces. 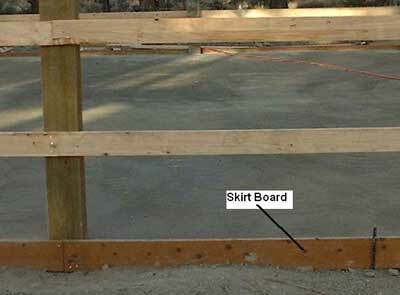 Skirt Boards (or Splash Boards): Pressure treated lumber installed at grade line to which the bottom of the building siding is normally installed. Sliding Door: Typically found in pure agricultural or animal confinement buildings. Door is typically a metal framework with a steel cladding skin and moves horizontally along a building face. Supported on top edge by two sets of trolley wheels running through a horizontal steel track attached to the face of the building. Soffit: The underside covering of roof overhangs or mansards. Soil Pressure:Load per unit area the foundation of a structure exerts on the soil. 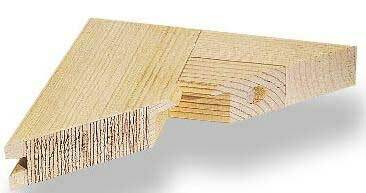 Solid Sawn:A structural wood member comprised of an individual piece of lumber. Span:Horizontal distance between two points. pecialty Contractor [from RCW 18.27.010(3)]:Means a contractor whose operations do not fall within the definition of “general contractor”. Splash Boards (or Skirt Boards):Pressure treated lumber installed at grade line to which the bottom of the building siding is normally installed. Static Loads:Result from the weight and/or pressure from equipment, livestock, and stored products and the materials used for construction and maintenance activities. Stiles:The vertical side members of framed and paneled doors. Stitch (or Seam) Screws:Fasteners used to connect two adjacent pieces of metal cladding, and thereby adding shear continuity between the sheets. Stress:A measure of the load on a structural member in terms of forces per unit area. Structurally Glued:Laminated Timer Post (or Glulam Timber Post) – An assembly in which the individual layers are joined together with a structural adhesive. Stud:A vertical wall member to which exterior or interior covering or collateral material may be attached. May be either load bearing or non-load bearing. Suction:A partial vacuum resulting from wind loads on a building which cause a load in the outward direction. T Bracing: Two pieces of lumber nailed together to form a “T”. Frequently used as permanent roof truss bottom chord bracing and to support endwall wind columns when roof trusses are spaced greater than 10′ on center. Tensile Strength:The longitudinal pulling stress a material can bear without tearing apart. Threaded Nail:A type of nail with either annual or helical threads in the shank. Generally made from hardened steel and have smaller diameters than common nails of similar length. Timber:Wood members five or more nominal inches in the least direction. Top Chord: An inclined or horizontal member establishing the top of a truss. Transit (or Building Level):A surveyor’s instrument in which a telescope is mounted horizontally. Parallel to the ground, it can be used to determine a level point or points. Transverse:The direction perpendicular to the ridge. Tributary Area:The area which contributes load to a specific structural component. Trim (or Flashing): Light gauge metal used to cover exposed edges of steel claddings, especially around openings and at intersection of surfaces, or bare untreated lumber. Generally includes: base, eave, jambs, around windows and doors, fascia, varges and ridge. Twist: A curl or spiral of a piece of lumber along its length. Measured by laying lumber on a flat surface so three corners contact the surface. The amount of twist is equal to the distance between the flat surface and the corner not contacting the surface. UBC:Uniform Building Code. This code is dedicated to the development of better building construction and greater safety to the public by uniformity in building laws. The code is founded on broad-based principles that make possible the use of new materials and new construction systems. Unbalanced Snow Loads:When an uneven snow load is created due to drifting snow. Uplift:Wind loading on a building which causes a load in the upward direction. See also Suction. Vapor Retarder:A material having a permeance rating of 1.0 perm or less, when tested in accordance with ASTM E 96, such as foil, plastic sheeting, or insulation facing. Installed to resist the transmission of water vapor through the exterior envelope. 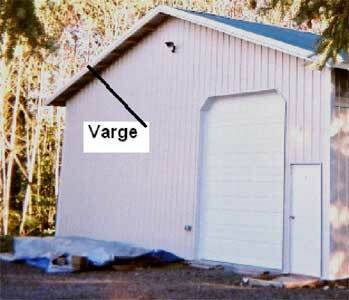 Varge: Flat surface (or covering) located at the outer edge of a roof endwall overhang. Vaulted Truss (or Scissor Truss):Roof truss designed with a bottom chord sloping upwards to an interior peak at the center of the building. Allows for increased clearance as the center of the building is approached. May require a steeper than standard exterior roof slope. Vented Ridge:Allows warm, moist air to escape from the building through the peak of the building, providing an adequate air intake (e.g. 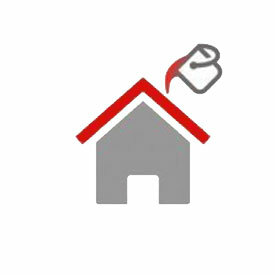 gable or eave vents) is provided. Ventilation:The natural or mechanical process of supplying conditioned or unconditioned air to, or removing such air from, any space. Wainscot: Material on the lower few feet of a wall or walls, divided from the upper portion of the wall. Used primarily as an aesthetic feature. 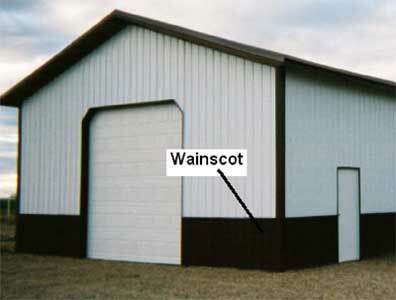 However, if using steel panels for wainscot, provides ease of replacement of future damaged or dented panels. Walk Door (or Entry Door, or Man Door): A pre-hung, hinged door allowing for access into the building by turning a lockset. Most popular size is 36 inches in width by 6’8″ in height. Wane:Bark; or lack of wood from any cause, on the edge or corner of a piece. Warp:Any variation from a true plan surface. Includes bow, crook, cup and twist, or any combination thereof. Waterborne Preservatives:Include ACA, ACZA and CCA, which have shown a high resistance to leaching and have excellent service records. The preservative chemical is dissolved in water and forced into the wood by pressure. After treatment, the wood surface is relatively clean if the wood was dry prior to treatment. Web:Structural member joining the top and bottom chords of a truss. Web members form the triangular patterns typical of most trusses. Width: On main building, distance measured from outside of corner column to outside of corner column across the building endwall. Wind Loads:Loads from wind coming from any horizontal direction. Working Stress Design (or Allowable Stress Design):A method of proportioning structural members, such that elastically computed stresses produced in the members by nominal loads do not exceed specified allowable stresses. Zinc:Alminum Coated – Steel coated with zinc and aluminum for corrosion resistance. Sometimes referred to by trade names such as Galvalume or Zincalume.